I'm interested in this one alright... But if I interprete the rules correctly, then the following "IV" variant is out on this campaign but better be on the still to come "Derivates" campaign!? I think gun-tanks are what we're looking for here, though your's certainly qualifies as a derivative! Let's see how this campaign goes before jumping into another one. Hope you decide to join in! A gun tank with a plow or some other type of engineer equipment? A Sherman with the M1 plow (Academy)? Pz IV B from Dragon with a small snow clearing blade? I think that would be ok! Enlisted. Like some of the others before me I will select my vehicle nearer the time. So far I have 4 Sherman's to choose from as well as a T-34. I'm, in. I have a couple of M4's to choose from. Been lurking Armorama for a bit and decided to join recently, figured this would be a good way to get stuck in, so i'll sign up I guess! 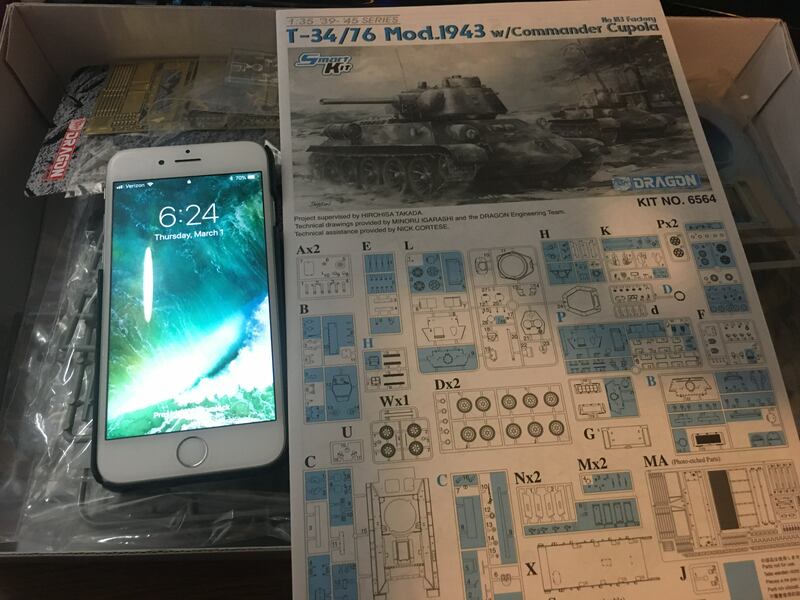 I'm going to do a T34/85 I think not yet decided on a kit, wanted to do a dragon one but seems a right pain in the neck to get hold of, so may go for an academy kit. Not too sure about their turret rough castings though, look a little extreme! I’m in! I have the ancient Italeri panzer iv f1/f2/g. Will add lots of am goodies to spruce it up and make it presentable. Good to see all the interest, and welcome to the new enlistees. Should be a good campaign! What I'll be working on, a kit I've heard quite a bit of bad stuff about, but the moulds actually look pretty decent. Oddly the kit with tank riders was about a fiver cheaper than that without, not sure yet if I'll use them. There's a metal barrel there too if you look closely. Is there any rule against using AM parts? Great. Now I just have to figure out which one of my Panzer IV's to use. Signed on the other day, and finally figured out what to use out of the stash: Tamiya T-34/85. I have a small box full of AM wheels, hand holds, shells, enigine bits, and hatches to dress it up. Count me in. 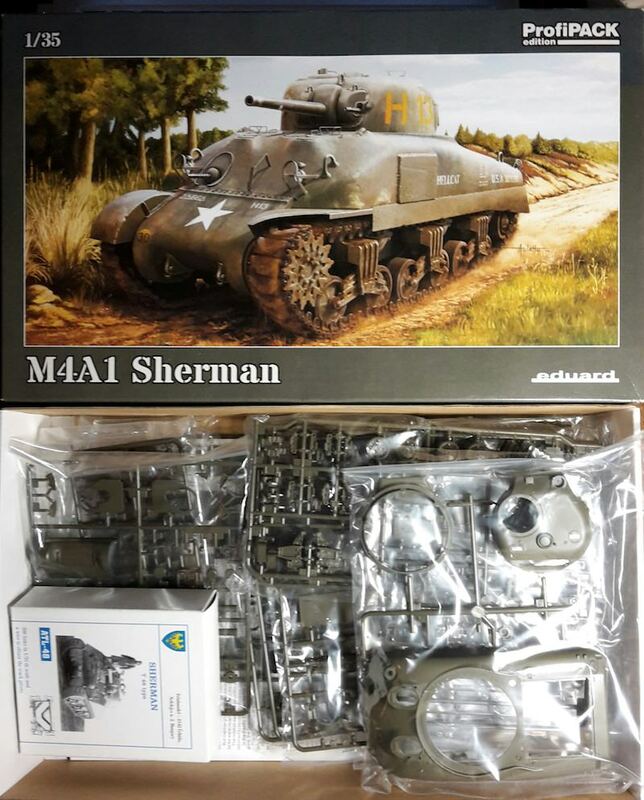 I just bought an Academy M4A2 Red Army Sherman earlier. I'm in. It'll be my first campaign. I have a few Sherman's in the stash, but I'm thinking about doing the Tasks/Asuka Jumbo. I'll get started once I get my Trumpeter Stryker NBCRV off my bench. Im in with hellers 1/72 sherman either the m4a2 for btisih at el alamein or american m4 4th armored with the crazy camo paint scheme. Ill jump in with a Meng Wartoon Sherman and a Italeri World of tanks Sherman. Here is what I selected for this build. My in-box review has been posted in the review section if your interested about the issues with this kit, and there are many. Since it's not possible to build a proper version OOB, I'll be adding some AM parts to fill in the missing gaps that Tamiya left me. I'll be doing this as if it has just rolled out of the factory doors, in September 1944. 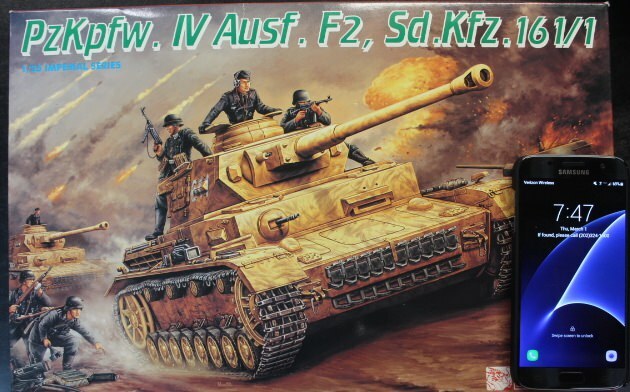 It will be that last Pz IV with zimmerit and the first with the thoma mesh schurzen. I just need to figure out what to do with the incorrect trash can muffler that's in the kit. I'll be using this in place of the rubber band tracks. I'll build Eduard's M4A1, which Tasca plastic with PE mudguards and different decals. If I'll use mudguards, I might use kit's flexible tracks and leave the Friul tracks for some other Sherman build. Probably won't start this until April, though. My contribution. Dragons T-34/76 Mod 1943. And we're off to a great start! Pretty sure I'm going to do a Sherman of some sort, probably a Taska/Asuka kit. Just trying to decide on which one. I've got a good few. The Workhorse Campaign is shaping up to be a great one. Looking forward to all the great builds and the progress everyone makes along the way. 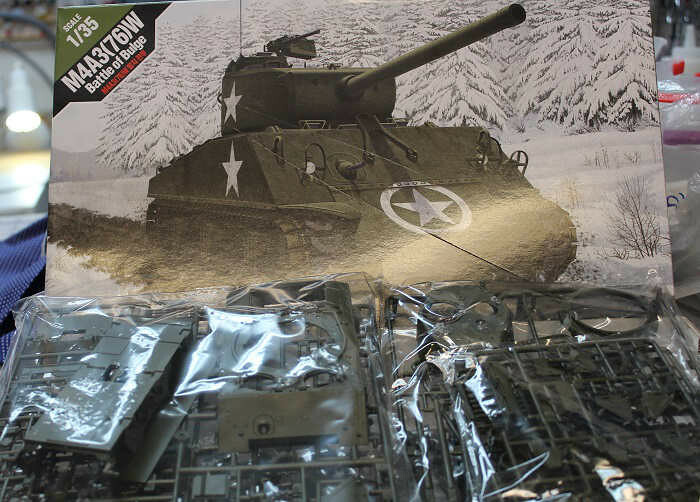 I'll be building Academy's M4a3 Sherman armed with the 76mm gun, in 1/35th scale. I'm backed up on the workbench so it may be a bit before I get started.